Glasnost which undermined the USSR and other socialist countries consisted in handing over the mass media, one by one, to the enemies of socialism. One telex can cost twelve dollars [whereas] the same message costs 75 cents in the form of a fax and 3 cents via the Internet ... in spite of our blockaded circumstances, we are in a relatively good position [to face the challenges of such scientific and technological changes], due to the educational and scientific work developed by the revolution. The Internet was the subject of high-level debate when it came to Cuba. 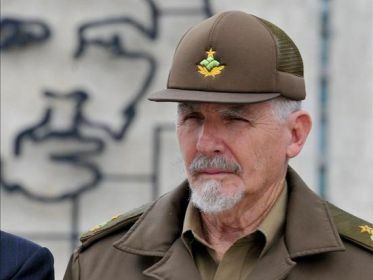 Carlos Lage, Executive Secretary of the Council of Ministers, saw the promise of the Net, while Raúl Castro was unwilling to risk political instability in order to achieve its benefits. Castro and his supporters prevailed, opting for a small Internet effort with tight control over content and access. (He cited Khrushchev's "glasnost" (openness and transparency) policy as a cause of the demise of the Soviet Union and noted the role the Relcom network had played during the Soviet coup attempt of 1991). I hadn't planned for the "dictator's dilemma" be the topic of the first post to this blog, but developments in Tunisia and Egypt have pushed it to the front of the queue. In the 1990s, I would have agreed with Castro that the Internet was destined to bring democracy. Today I have a more nuanced view -- the Internet is used by dictators and terrorists as well as democrats. Furthermore, happy, well fed citizens (for example in China) are relatively complacent in their attitudes toward Internet openness. The Internet did not cause the governments of Egypt and Tunisia to fall -- Mubarak and Ben Ali get credit for that, not Mark Zuckerberg -- but it played a key emotional and logistical role in the demonstrations that pushed them over the edge. Mubarak tried to shut the Internet down, but that backfired. As Google marketing executive Wael Ghonim pointed out in a 60 Minutes interview, cutting the Internet showed the people that the government was afraid and caused them to go out into the street to learn what was happening. It was too late -- perhaps Mubarak would still be in power if he had chocked the Internet the way the Cuba did in the mid 1990s. I wonder how the Internet and these events are seen by Cuban leaders today. In his 2007 keynote address at the bi-annual Informatica Conference in Havana, Ramiro Valdés Menéndez, then Minister of Informatics and Communications, embraced "the wild stallion of the new technologies," which "could and should be controlled and used to serve peace and development" in spite of the fact that it construes one of the "mechanisms for global extermination." He sounded like a combination of Lage and Castro on steroids -- still focused on the dictator's dilemma. The tone was different at the 2011 Informatica conference held this week. Deputy Minister of Informatics Communications Jorge Luis Perdomo, who chaired the conference organizing committee, said that limitations on Internet access were technical, not political and he stressed the government's willingness to open Internet access to the general public. The government also unblocked access to over 40 Cuban Voices blogs, including that of dissident Yoani Sánchez. Are the times changing? (Valdés and Perdomo certainly look like they are of different generations). Will Cuba have the will and infrastructure (human and physical) to utilize the bandwidth of the new undersea cable? What about the Army? The new Minister of Informatics and Communication is an army general and last month Telecom Italia sold their share of ETECSA to Rafin S.A. Dissident blogger Iván García tells us that "Rafin" stands for "Raúl Fidel Inversiones" and that it is run by military business men. 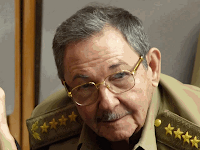 Garcia says "Since 2008, Cuba has changed into a country almost basically controlled by the military. The majority of the ministries are occupied by active duty or retired olive green officers." The military running business sounds a bit like Egypt. Yesterday's election in the US got me thinking about our early optimism regarding the Internet and the "dictator's dilemma." 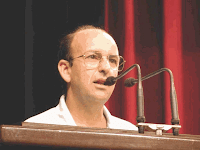 I discussed the dictator's dilemma in several reports and articles on Cuba in the mid 1990s. For example, in a RAND report, I described it as "the desire to have the benefits of the Internet without the threat of political instability" and said a dictator must ask "how do you give people access to information for health care, education, and commerce while keeping them from political information?" That being said, I remained optimistic describing the potential benefits of the Internet for developing nations in general and Cuba specifically. I'm having second thoughts today.